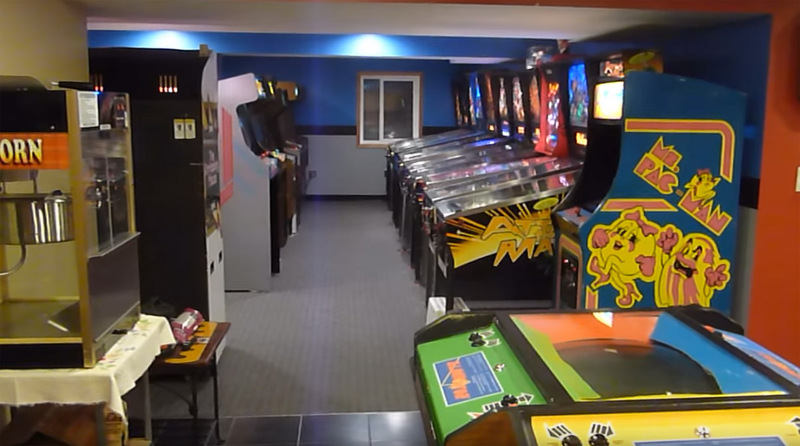 In Hampshire, IL, just northwest of Chicago, Hans O. has something incredible in his basement: a stunning collection of classic video games and pinball machines. The longtime collector just shared a video on KLOV which features a walk through of his incredible gameroom and highlights his very nice collection of vector games. According to the veteran collector, it’s taken quite some time to amass his current collection, but he’s not resistant to changing thing up. (I’ve) been at it about 18 years or so. Had the Sega’s for a long time now. The entire Sega row may be on the way out after the (New Year’s )party. Time for something new. Believe it or not….everything started with $500. Flipped some of the very first games I bought and have been buying and selling ever since. Never put another dime of my own money into the hobby.